Patreon changes, free sketch and streams. 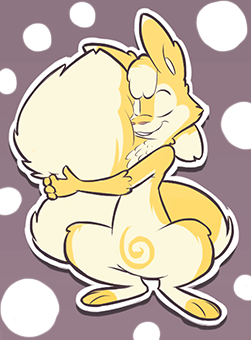 - I've added -25% off a single commish to the Maximum Overfloof reward. - Enabled the new Patreon style, I don't like it very much but it'll be automatically enabled anyway by the march so I have to get used to it. - Changed some stuff around in my campaign's description to make it more clearer. Where's Yosh? Why he's not streaming? I've been pretty busy for 3 days straight - I had to handle my job's paperwork, stuff with Patreon and some unfinished business with peeps, but I'm almost done so that means moar floofstreams soon! Time for this month's free sketch winner! I used initials for privacy. Congrats to this month's free sketch winner! I'll be PM'ing your shortly. If my art made you chuckle or you just enjoy seeing my work consider donating a buck or two towards my future. Hello and welcome to my DeviantArt Profile! I love drawing so you can expect a lot of random daily stuff from me - from sketches to fully rendered pictures.